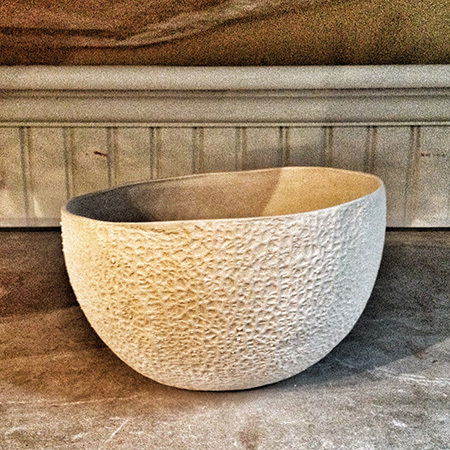 Another paper thin cantaloupe bowl in the bone dry stage – the stage I like best. Thanks, Elaine. I’d like to figure out how to preserve the texture after firing – seems a shame to cover it with glaze. I’m going to try just glazing the inside and see how that looks.